Miss Nichole from Pure Clean Fitness is here to hang out with us! I love having her visit and inspire our fitness!! 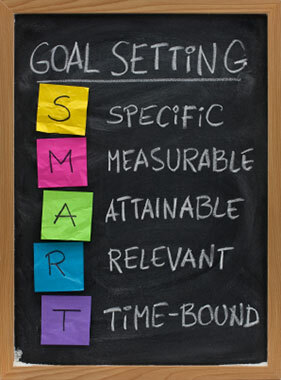 This week Nichole’s Goal Setting Tips! A Healthy Recipe: Tofu Drunken Noodles from me + Fitness Tips from Nichole= a healthy, happy, balanced life! As we come upon the end of this year I didn’t want to leave you all with another workout, you have plenty, instead I wanted to give you some things to keep in mind as we begin the new year. Every year the majority of us start out with dreams for a new year. We take those dreams and form goals and plans that may last a few days, a few weeks, or even months. I have given you the all important S.M.A.R.T. goal acronym before and posted about how to form accomplishable goals, this is not a repeat of that. Instead this is about some things to keep in mind as we make those goals. Balance: one of the most important words in a healthy individuals vocabulary is balance. This is important when it comes to the balance of self and others (family). The balance of enjoying life and taking fitness to the extreme. The balance between weights and cardio. Balance is truly needed to love oneself and one’s family. Give yourself permission to not be perfect. Let your kids see you enjoying life and not always saying no to birthday cake. Find joy in working out, but know your limits. Loving yourself and having balance in your life allows you to dream, to make goals, to live healthy most of the time but also be able to relax and enjoy some of life’s precious moments. 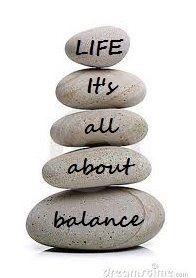 As you make your goals and plans this year make sure that your dreams allow for balance. And make sure there is plenty of room for love in those goals. Ruthie’s Healthy Recipe. . .
Tofu Drunken Noodles a healthy vegan dinner that’s packed with awesome nutrition and tastes just as fabulous! I love eating at Thai restaurants, I always get Drunken Noodles if they have them on the menu! These Tofu Drunken Noodles taste amazing and they’re super nutricious too! The flavors are lovely~ Chinese broccoli, Thai basil, ginger, limes, and sautéed tofu makes for a filling and delightful dinner. Sometimes life gets so busy that getting to the grocery store and planning dinners seems like the last thing I want to do. . . I think it happens to us all, right?! Win-win in my world this past month! Enjoy a batch of Tofu Drunken Noodles this week and add in a bit of happy and healthy to the Holiday’s! Happy Fit Friday and Christmas weekend too! Fill large pot with water, add salt, bring to boil. Add rice noodles to boiling water and turn off heat, let soak 3-4 minutes until pliable. Drain and rinse with cool water; set aside. In small bowl, whisk together soy sauce, brown sugar, 1 tablespoon water, juice of 1 1/2 limes, 1/2 tablespoon sambai. Slice remaining 1/2 of lime into wedges for serving; set aside. Transfer tofu to plate; set aside. Return skillet to heat, add 1 tablespoon oil and coat pan, add ginger and chinese broccoli, add salt and pepper; cook 2 minutes. Add rice noodles and soy mixture to skillet; toss to coat and cook 1-2 minutes to thicken sauce. Add basil and tofu to skillet; cook 1 minute to heat through. Serve with scallions and lime wedges.